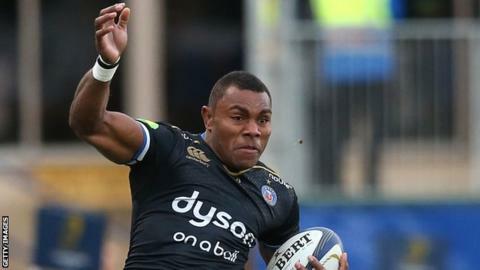 Bath wing Semesa Rokoduguni has extended his stay at the Premiership club for at least another two years. The 28-year-old has scored 27 tries in 70 games since joining in 2012. "Roko is an incredible talent, especially considering he's still at a relatively early stage in his professional rugby career," said Bath head coach Mike Ford. "He's a complete professional on and off the pitch, and I know he's just going to keep getting better." Born in Fiji, Rokoduguni won his first and only England cap in November 2014 against New Zealand. "My family are settled in Bath, and I'm really enjoying being part of the very talented squad here," added Rokoduguni. "I'm excited about where we can go as a team, and I'm looking forward to playing a role in that."